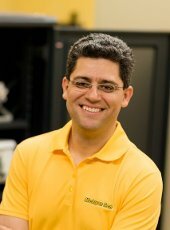 Mahdi Shahbakhti (MEEM) is the principal investigator on a project that has received a $269,976 research and development grant from the National Science Foundation. 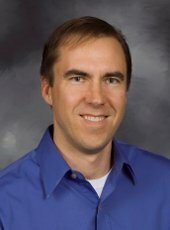 Jeffery Naber (MEEM/APSRC) is the Co-PI on the project “Control-oriented Modeling and Predictive Control of Advanced Dual Fuel Natural Gas Engines.” This is a three-year project. About 200 million internal combustion engines (ICEs) are produced in the world every year and used in energy, transport and service sectors. Furthermore, ICEs account for over 22% of the U.S. total energy consumption and produce the largest portion of CO2 greenhouse gas emissions in urban areas. Dual fuel natural gas (NG) engines in advanced low temperature combustion regimes represent the state-of-the-art ICE technology with some of the highest reported fuel conversion efficiencies and 25% lower CO2 emissions compared to conventional engines. However, achieving a robust and high-efficiency performance of these engines on a broad operational range using existing control technologies is not possible due to their highly nonlinear and uncertain dynamic behavior. This project is a collaborative effort between Michigan Technological University, University of Georgia, and the industry partner, Cummins Inc.
Undergraduate mechanical engineering student Justin Mondeik was featured in the story “Mondeik leads Kulwicki Cup,” in Merril Foto News. 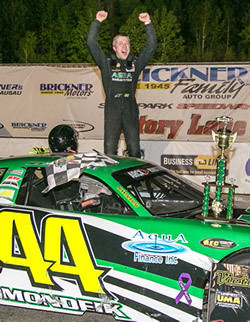 Mondeik is in his second year in the Kulwicki Driver Development Program for Super Late Model stock car drivers. Mondeik currently sits in first place for the $54,439 prize. Michigan Tech was well represented at the Partners for the Advancement of Collaborative Engineering Education (PACE) Global Annual Forum July 22-25, 2018, at the GM WarrentTech Center. Third place in Customer Insight. The team also won the Siemens Award for Excellence in PLM. The Michigan Tech grad students participating were; Manjo Balabadhruni, Karan Gundre, Aniket Jadhav, and Mayuresh Kange. The is a one-and-a-half-year project. Ventilation noise in hospitals is detrimental to patient recovery, in schools is detrimental to student learning outcomes, and in communities is detrimental to restful sleep leading to increased stress. The proposed project will develop a prototype for a coaxial active noise cancelation device in ventilation ducts using carbon nanotube (CNT) thermophones. 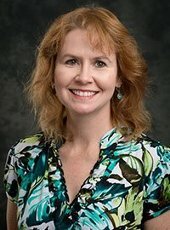 Nancy Barr, founding director of the ME-EM Engineering Communications Program, recently presented a paper titled, “‘Helpful,’ ‘Irritating,’ and ‘Smart,’: Student Perspectives on Teams in a Mechanical Engineering Program,” at the annual conference of the IEEE Professional Communication Society (IEEE ProComm2018) in Toronto, Ontario, on July 23-25, 2018. The paper, co-authored by James P. DeClerck (ME-EM), highlighted three problems that commonly hinder undergraduate engineering teams and suggested possible solutions. Barr was also co-chair of the proceedings committee for the conference. Reliable estimates indicate that within the next 5-7 years, the inhabitants of the Earth will launch more satellites into space than have been launched in the history of our planet up until now. The current system in place involves getting permission from the FCC, which is strange because when you think “satellites” I highly doubt that the FCC comes to top-of-mind as the appropriate expert agency. The problem is that the FCC now becomes the gatekeeper for all things related to satellites, extending to many checkboxes that have nothing to do with radio frequencies. An interesting alternative exists: a company can try to export their satellite to another country and try their hand in that country’s space permitting process. In any case, we are in dire need of a forward-thinking approach to space policy and regulation that includes and goes beyond just Earth-orbiting satellites. Read the full story at TechCrunch, by L. Brad King. “Once I got the telephone interview, it was all on me. I had to rely on my own capabilities to convert this opportunity into an offer,” says Sai Rajeev Davaragudi after landing a summer internship at Faraday Future in Los Angeles, California. 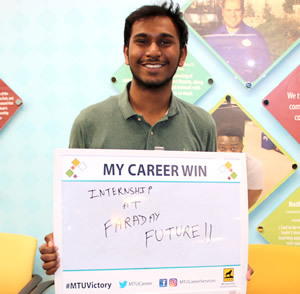 Sai Rajeev Devaragudi is a tenacious graduate student at Michigan Technological University studying mechanical engineering-engineering mechanics. Read more at the Career Services blog. Nancy Barr (MEEM) presented at the International Writing Across the Curriculum Conference 2018 on the campus of Auburn University in Alabama, June 4-6. Her presentation, “Connecting the Dots: Engineering Students Connect Concepts via Reflective Essays,” focused on an effort to incorporate reflective portfolios into the undergraduate degree program. Barr is the founding director of the Engineering Communications Program in the Department of Mechanical Engineering-Engineering Mechanics. The conference theme, “Making Connections,” emphasizes how writing across the curriculum fosters connections within and across institutions and programs, between people and positions, and among ideas and practices. Ezra Bar-Ziv (MEEM/APSRC) is the principal investigator on a project that has received a $25,000 research and development grant from Michigan State University. 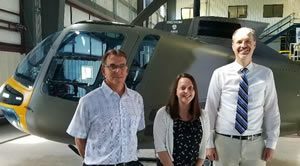 Michigan Tech alumnus Dennis Martin ’98, has taken over leadership of the Sales and Marketing Department of Enstrom Helicopter Corporation, of Menominee. The story was reported in Airframer, Vertical, Aviationpros and WLUC TV6. Tracy Biegler, CEO & President of Enstrom Helicopter Corporation is announcing that he is stepping down from his position at Enstrom in order to pursue other opportunities. Biegler will be replaced by Matthew Francour, who will be taking the position of Interim CEO & President while a replacement is sought. In addition, Dennis Martin has taken over leadership of the Sales & Marketing department. Martin graduated from Michigan Tech University with a degree in Mechanical Engineering. After working in the auto industry, and in retail, he joined Enstrom in 2007 as a salesperson for the company. At Enstrom he worked various positions in the Sales & Engineering departments before being elevated to the Sales Manager in 2015. Martin is a commercial fixed wing pilot and a rotary wing pilot, as well as an FAA licensed A&P Mechanic. Read more at WLUC TV6.